Granite Hall Partners covers and has active deal flow in the majority of alternative asset categories. 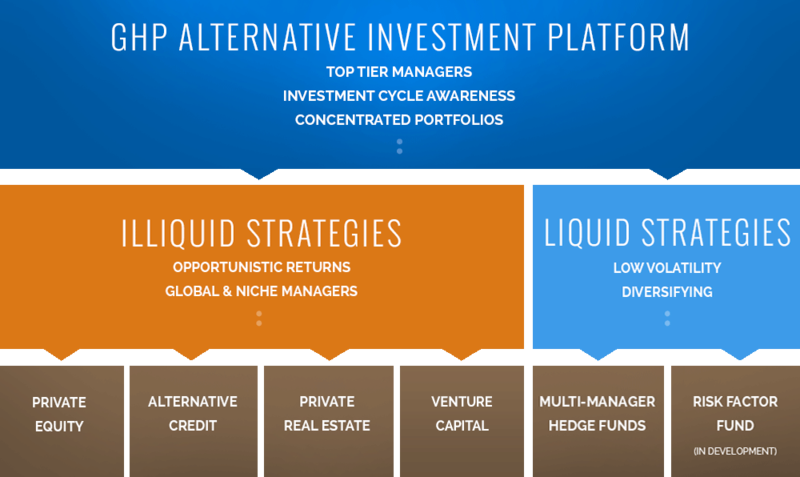 These categories span the liquid and illiquid U.S. and Global alternative investment universe. Although the firm is frequently exposed to interesting strategies, only the most compelling and unique pass all the screens necessary for inclusion into GHP Funds.